Any time a surgeon can avoid cutting into muscles and making large incisions, it creates a better way to treat a back problem. And that’s the philosophy of the doctors at the Southeastern Spine Institute. When they can avoid extensive back surgery, they do — with pleasure. Endoscopic procedures provide an ideal solution to prevent the massive surgical treatments of the past, as well as the extensive recovery from back surgery previously required. Doctors today rely on small incisions to insert scopes for both diagnosing and treating back complications. Also referred to as minimally invasive surgery, endoscopy is the treatment of choice whenever possible. And techniques keep improving. Some of the latest endoscopic techniques are so much less invasive than traditional back surgery that you very well may be able to go home on the same day as the procedure. Micro Endoscopic Posterior Cervical Discectomy is one such procedure used to relieve the arm and neck pain caused by diseased or herniated discs. 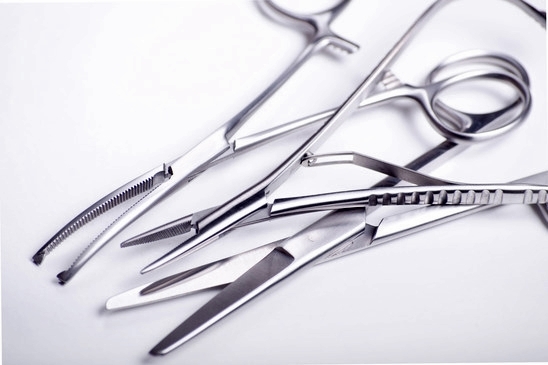 Your spine surgeon uses tiny instruments to remove the offending bone material and take pressure off compressed nerves. Another valuable tool used in endoscopic back surgery to relieve herniated discs is the laser. A Percutaneous Laser Discoplasty is ideal if you have a bulging disc that is still intact. You may need to stay in bed at home for the rest of the day, but you’ll leave the SSI campus with just a band-aid covering the small incision. The surgeons at the Southeastern Spine Institute stay abreast of the technological advancements in minimally invasive spine surgery techniques. They come to rely on smaller and smaller instruments to treat your back problems when more conservative treatments like physical therapy fail. To receive all the benefits, however, you must rely on a trained team of experts in endoscopic back surgery. You’ll find those and more at the Charleston-based Southeastern Spine Institute, where physicians maintain their certifications and training in all the latest and greatest techniques for your well-being.